In Spain, paella is something of a festive dish, made for large gatherings or celebrations and almost always cooked over a wood fire. 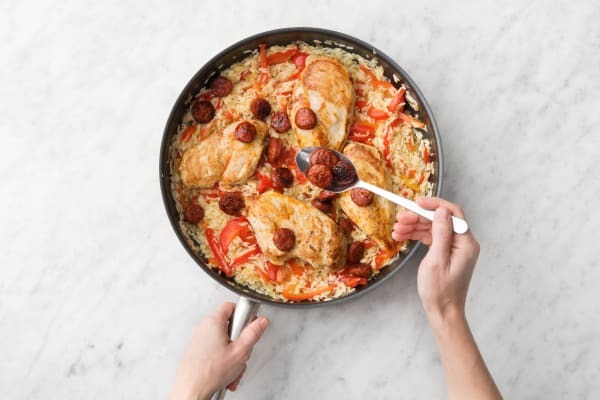 Don't tell the Spaniards, but we think it's also a pretty great, quick and easy, one-pan stovetop recipe that can be enjoyed even in cozy and intimate settings. Filled with chicken, chorizo, and bright red peppers, our version feels like a meaty, savory, flavor-filled jubilee. Wash and dry all produce. Core, seed, and thinly slice bell pepper. Halve, peel, and dice onion. Mince or grate garlic. 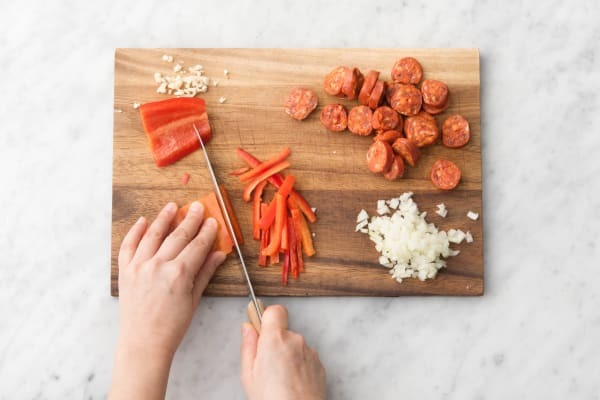 Slice chorizo into 1/4-inch-thick rounds. Heat a large pan over medium heat. 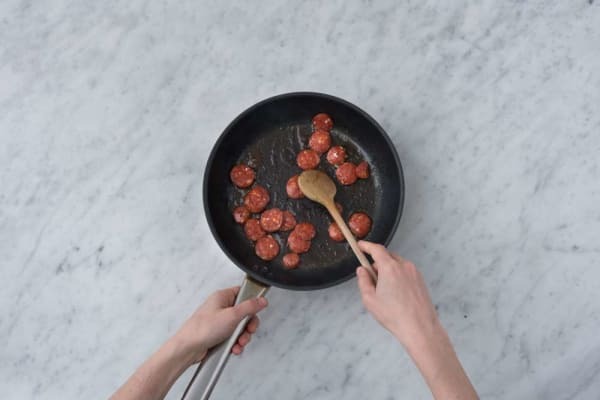 Add chorizo to pan and cook until it crisps and releases some of its oil, 1-2 minutes per side. Set aside, leaving oil in pan. Season chicken on all sides with salt and pepper. Heat same pan over medium heat. 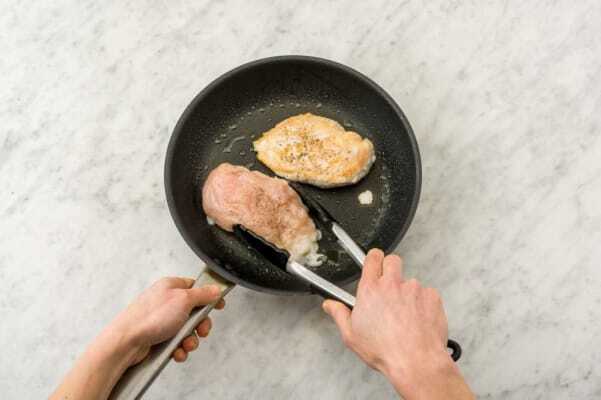 (TIP: If pan seems dry, add a drizzle of oil.) Add chicken and sear until browned and cooked through, 5-6 minutes per side. Remove from pan and set aside. 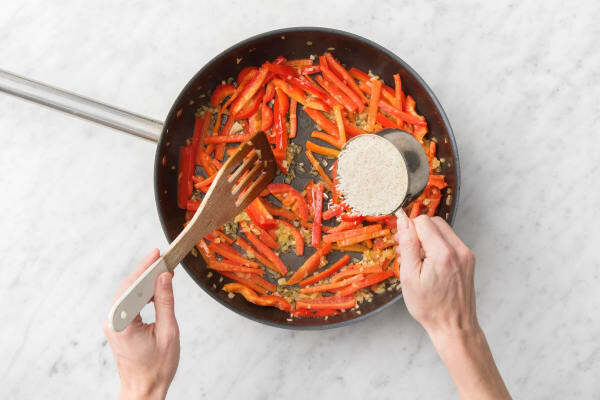 Add onion, garlic, bell peppers, and a drizzle of oil to same pan over medium heat. Stir until just softened, 3-4 minutes. Add rice and stir to coat. Stir in 1 cup water, a pinch of salt, and chicken stock concentrate. Cover and reduce heat to low. Simmer until rice is tender, 15-20 minutes. Meanwhile, cut lemon into wedges. 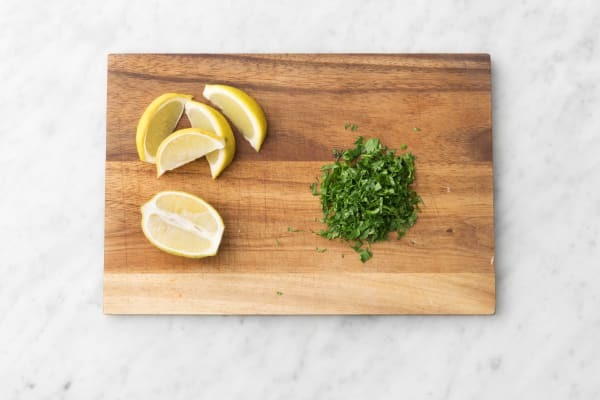 Finely chop parsley. TIP: While you wait for rice to finish, try practicing this Spanish phrase: Con pan y vino se anda el camino (life is better with food and wine). Fluff rice with a fork and season generously with salt and pepper. 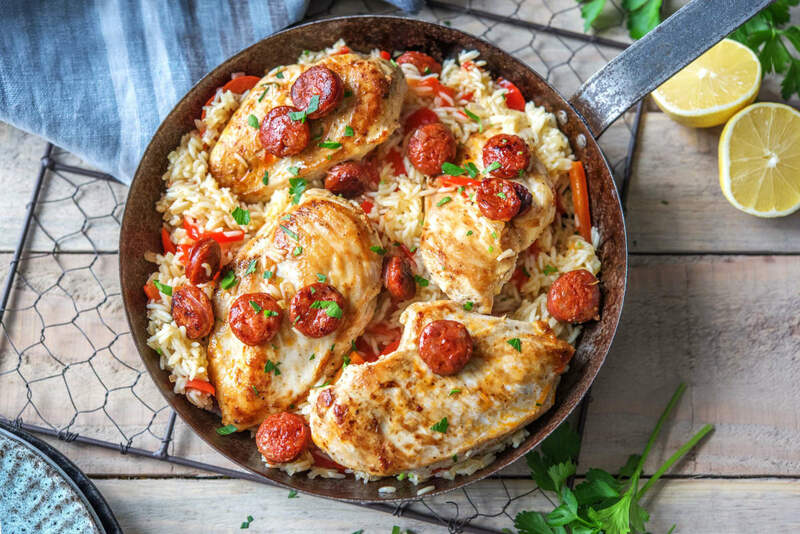 Place chicken on top and sprinkle with crispy chorizo. Remove pan from heat and sprinkle with parsley and a few squeezes of lemon.